Wow, am I glad *that* test is over! I know there are people who say the tech exam is easy-sneezy, but I'm not one of them. There were 15 people sitting for Ham Radio tests (Tech, General and Extra) and most were there (like me) for the Tech (newbie). Out of 35 questions, I got 33 right! And it was not exactly like the online tests that I've been using. What was really, really interesting was that I was the only woman in the bunch, and the rest of these men (mostly in their 50s and 60s) were not sure what to think about a woman in their midst. And when the men (and I) came into the room to take the test, all the men settled into the tables *away* from me. Was just like being the odd kid in high school, all over again. Finally, a couple nice gents sat next to me. And the proctors (is that what they're called?) or examiners (that sounds better) started by saying, "Now gentlemen..." and then corrected themselves and said, "Er, uh, Ladies and gentlemen..."
I asked one of the old timers if many women were involved in ham radio in Hampton Roads and he said, "Yes, my wife helps out when we have get-togethers and does some...." and then he stopped himself. I think he was going to say "cooking." That was also pretty funny. Anyway - I'm glad it's over. I was completely stressed out. I never was any good at tests in school. I'm a writer with a long background in architectural history. I don't know much about them fancy modern wireless thangs. The best part was being the only woman in the bunch. There were a couple guys just staring at me like I had 12 horns growing out of my head. I was going to put this post as an update on another thread I had started, but the thread was closed when some one made a suggestion that I could just violate FCC laws and operate a radio sans license. Just for the record, I had a 3rd class radio operators license in 1974 (when I was 14). I think it'd be incredibly foolish to violate any laws regarding the FCC and airwaves. I do *not* look good in bright orange jumpsuits. Last edited by RosemaryT; 02-26-2011 at 11:28 AM..
Congrats to you, Rosemary. Ham radio is facinating to me although I know nothing about it really. I have an old friend who used to enjoy this. Don't know if he still does. I didn't know that there were not many female operators. Doesn't make sense to me. Yes Rosemary, congratulations to you! your custom QSL card printed up! RosemaryT: Congratulations! I knew you could do it! Well congrats to you! Now get that General license! Heck there's plenty of women in ham radio, I woulda sat next to you. Congrats Rosemary from one girlie ham radio operator to another! Thanks for the many nice replies! Yeah, it hasn't been 24 hours and I'm ready to try for the next level. 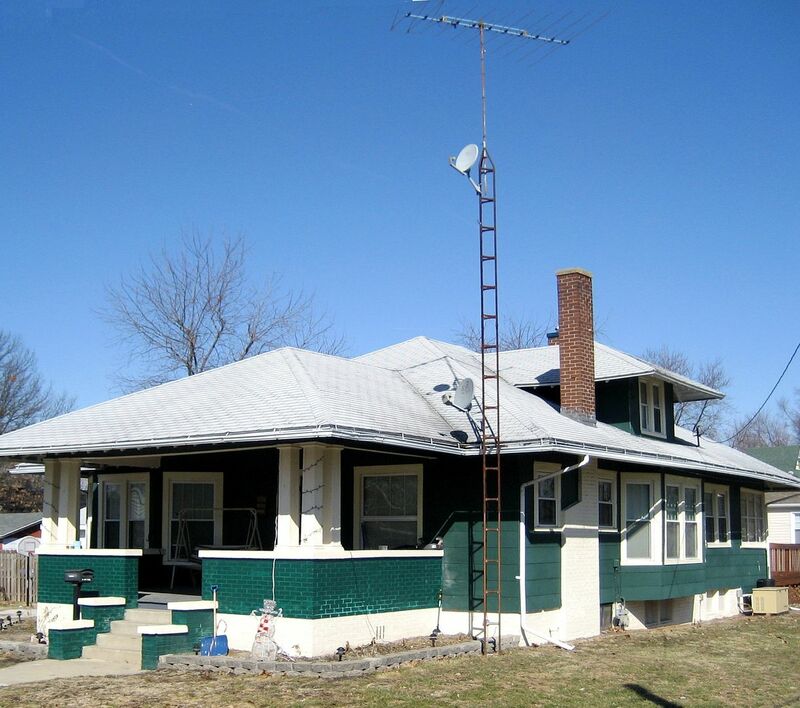 BTW, here's a picture of a Sears kit home in Illinois with a massive Ham radio antenna. 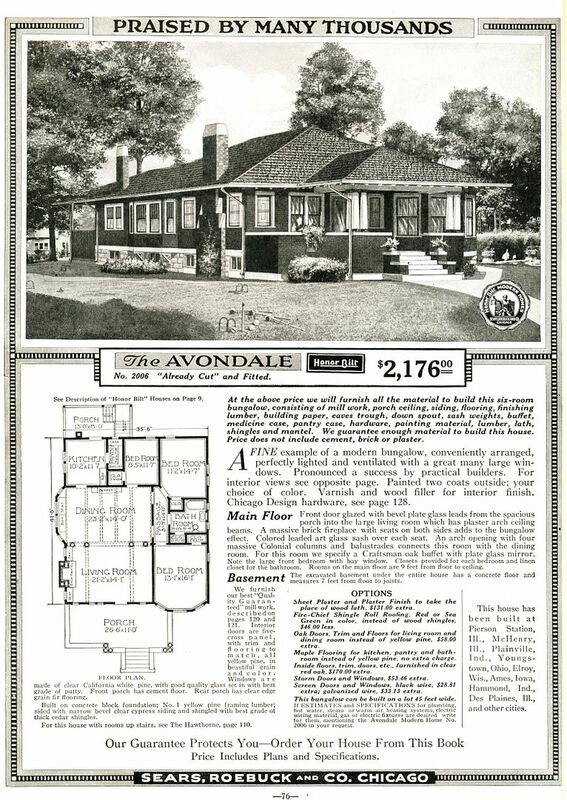 The best of both worlds: Sears Homes and Ham Radio! Nice, but I wouldn't call that a "massive" antenna. Wait until you see some of the contest stations with stacked Yagis up hundreds of feet!